I would love to be able to write that I’m feeling a lot better or that the family is feeling better, but that’s only half true. The kids seem to be recovering, even though Avery has a lingering cough and Titus still has some congestion. Bethany and I are both just blah. I stayed away from the JV offices today for the first and tried to get some rest. Bethany was feeling about the same as yesterday but tonight she was really struggling. In a way, it feels like a second wave has hit us because I honestly thought Bethany was recovering. But from what I can tell it’s just head colds all around and there’s no infection, which is a blessing, but the coughing, sneezing, and head congestion is just no fun. God has been so gracious to us the past year with very minimal to no sickness. In fact, Bethany and I have talked a lot about we truly believe God was just allowing us to get through the storm of moving overseas without sickness. And now that we are sick, I can truly praise Him in the midst of this little trial. Even though I wasn’t feeling that great, tonight we mustered up the energy to get the family out to a friend’s house where we saying goodbye to one of our interns who has been with us all summer. 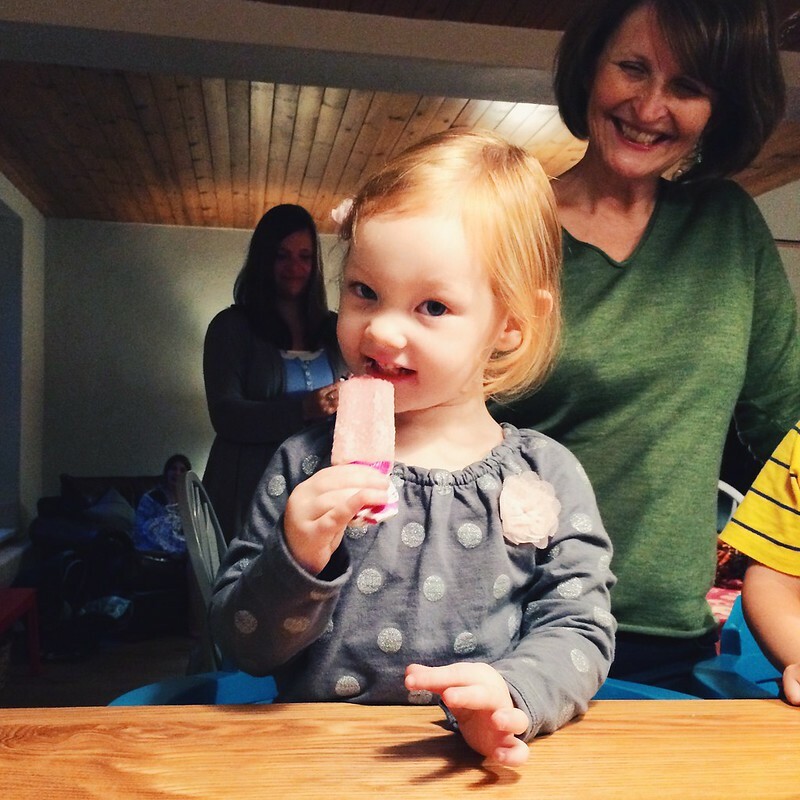 Amy Nickerson has been doing a lot (and I mean a lot) of writing for our team and for Josiah Venture this past year. Next week we will all be working at the JV conference and she will leave to go back to the States right after. Upon returning she’ll be finishing up her masters degree and then deciding on what she wants to do next. Amy has been a huge blessing to us and it’s been a joy to get to know her more these past few months. If you haven’t seen the many articles she has written for Josiah Venture’s 20th anniversary, just go to josiahventure.com/blog and almost all of the recent articles are by her. I think our team is praying that we will see her again and that she’ll join our team full-time in the future! 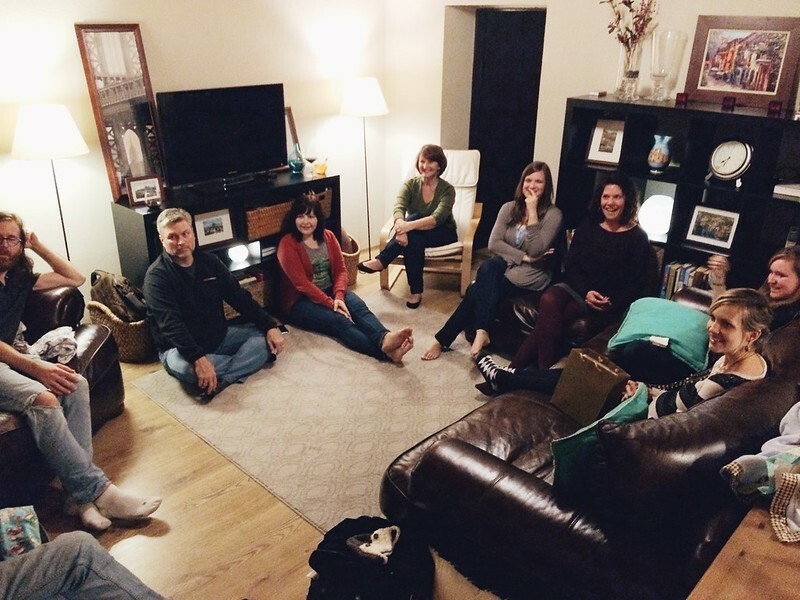 Below is a photo of our team sharing about Amy tonight and thanking her for her service to Josiah Venture and the many people who are connected to our organization. Amy is on the far right edge of the photo, sitting on the couch. And here’s Avery enjoying a little ice cream.